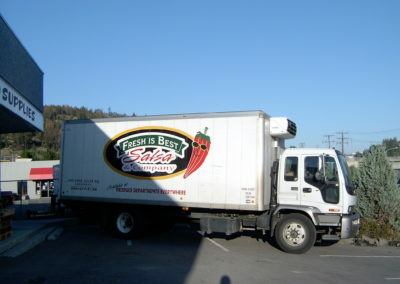 It all started pretty humbly back in the summer of 1999 at our local Kamloops Farmer’s Market. We began making our own fresh salsa at home as we were growing a garden and looking to eat healthier as a family. It had been suggested to us by friends who would taste Colin’s Salsa at parties that we should sell it, they would buy it. So we gave it a go. Armed that first day with 20-500ml Medium Salsa’s and a smile Colin hit the market at 6am. 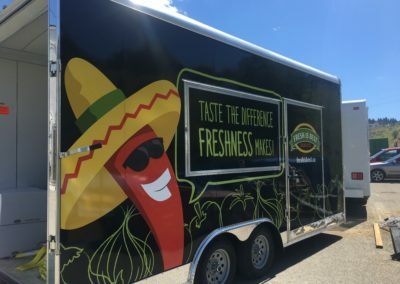 By 10am the smile was gone and the 19 salsa’s sat untouched, as one was opened as a sample but no one had tried it yet… A few hundred people had walked by already. Colin felt like heading home but the market insisted the vehicles and vendors could not leave until noon. Colin stayed reluctantly. Good thing. An hour later… he sold out! No one ever samples in the early mornings after just brushing teeth, we later learned. The next week we were back with 40 salsa’s this time in different heats. We needed a chip to sample the salsa with we thought, rather than a spoon but all the brands we tried were either too salty, to crumbled and broken or too flavored to do justice to our salsa on a chip. So the next week we learned how to make our own chips and hit the market with them as samples to get more folk’s to try our salsa. People asked “Where they can get these yummy chips”… so the next week we started stuffing our tortilla chips in a bag and the rest as they say is history… Fresh Is Best was born. Looking for a FRESH , fun and fabulous new challenge? It seems as we grow we are always looking for skilled , educated and experienced staff to hop aboard the ”SALSA TRAIN”. We are now building our brand Nationally with product found coast to coast. 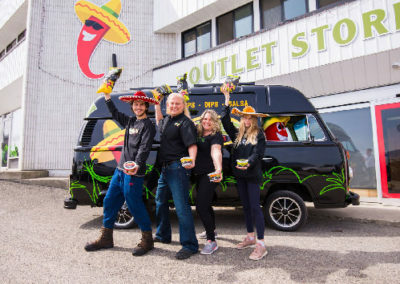 We continue to grow our business and product line, conquering one salsa-holic at a time! 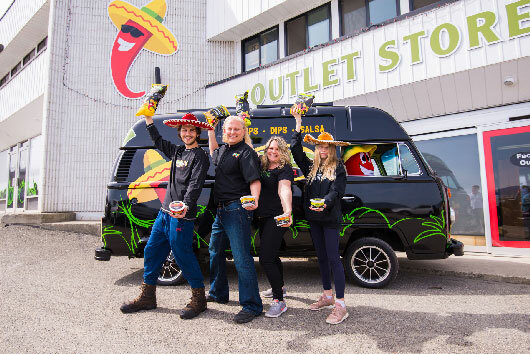 Thanks to you… we are the #1 selling salsa in Western Canada!